Enough already of phallocentrism and taboos about sexuality and the body. We are all political bodies. Enough of white hetero cisgender men who are in love with themselves. The last thing that Linn da Quebrada, who has suffered poverty, racism, homophobia, transphobia, machismo and even cancer before reaching the age of thirty, needs is to have to put up with your crap now. She is focused on spreading her spectacular visual album Pajubá worldwide, fruit of an amazing crowdfunding. The album unleashes her explosive character on stunning videos that are like a Brazilian answer to Beyoncé’s Lemonade. 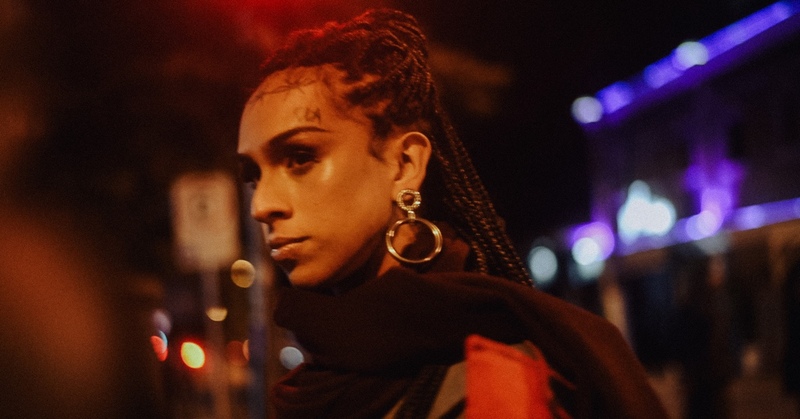 With favela funk and obscene dances, her work is obviously aimed directly at the deepest roots of heteropatriarchy, which crumbles to the rhythm of her dancing heels. You can escape from the machismo, but you can’t escape from her vogue afro-funk.